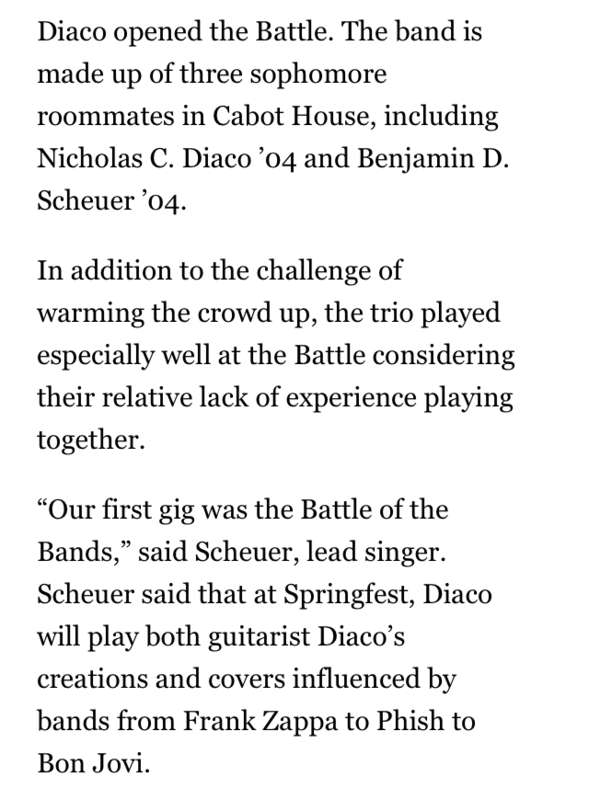 Does Anyone Know A Band Called Diaco? Someone dropped 4 files into my shared folder at Audiogalaxy more than 12 years ago, and to this day I never found out where these Diaco guys came from. The writing, performance, and quality is incredible, but the Internet never knew them. I’m not sharing them in the hopes somebody will come forward. Instead, I’ll share them because the recordings are simply too valuable to be forgotten! My personal favourite is Alone In The Dark, closely followed by Lindsay. This entry was posted in english, sound on May 5, 2013 by Franco.